If you have any questions about the ANTARES OF GRAND CAYMAN information page below please contact us. 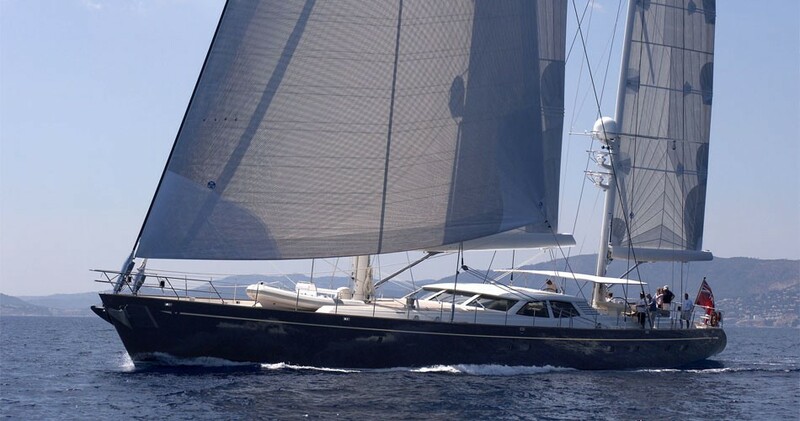 This sailing yacht ANTARES OF GRAND CAYMAN is a 40 metre 131 (ft) good sized aluminium alustar luxury yacht which was crafted at Royal Huisman and her design plans were devised by Dixon Yacht Design. The graceful boat has been brought about by naval architects Dixon Yacht Design. Rhoades Young Ltd was involved in the interior design. 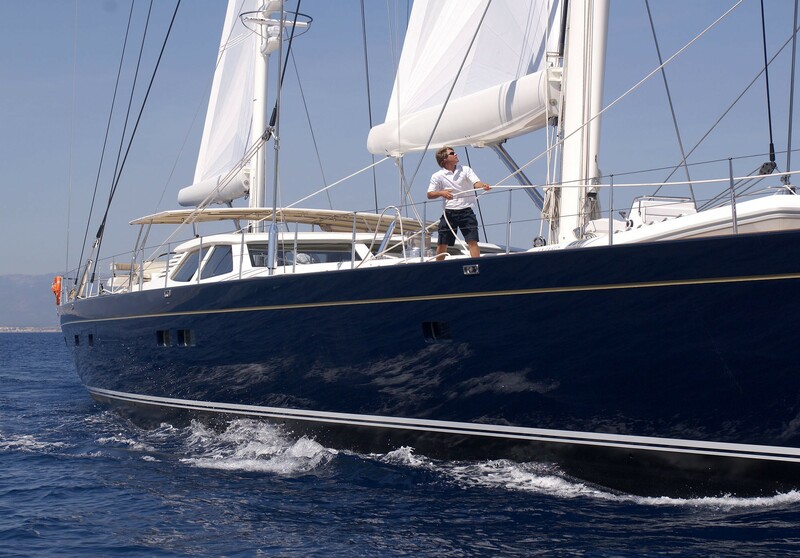 Dixon Yacht Design was the naval architect involved in the professional nautical design work for ANTARES OF GRAND CAYMAN. Her interior design was realised by Rhoades Young Ltd. Dixon Yacht Design is also associated with the yacht general design work for this yacht. the Netherlands is the country that Royal Huisman completed their new build sailing yacht in. After her formal launch in 2005 in Vollenhove the boat was passed over to the yacht owner following final finishing. A spacious area is brought about with a total beam (width) of 8.77 m or 28.77 ft. With a 4.22m (13.85ft) draught (maximum depth) she is deep. The material aluminium alustar was used in the building of the hull of the sailing yacht. Her superstructure above deck is created out of aluminium. Fitted with a sole MTU diesel main engines, ANTARES OF GRAND CAYMAN can reach a top speed of 14.5 knots. Coupled to the ANTARES OF GRAND CAYMAN engines are a single screw propeller wartsila 4 blades. Her total HP is 715 HP and her total Kilowatts are 525. Concerning bow thruster maneuverability she was fitted with Hundested / Stern: Hundested. 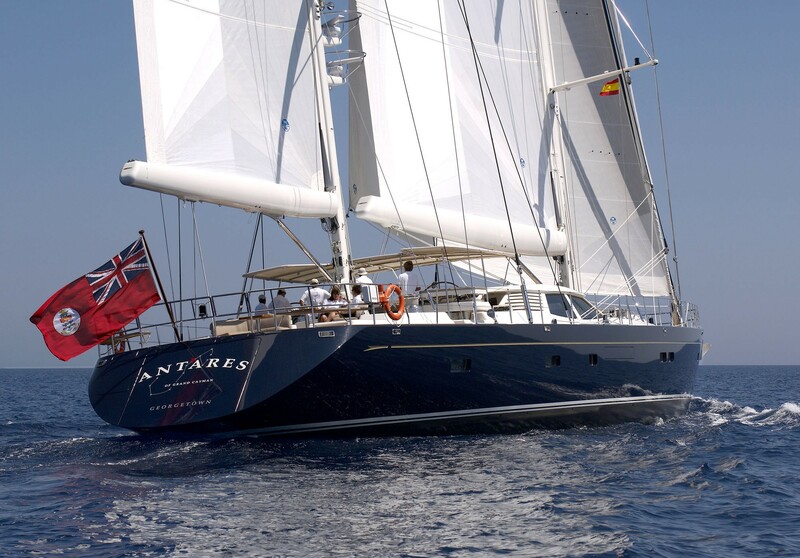 The well sized luxury yacht S/Y ANTARES OF GRAND CAYMAN can sleep as many as 6 people and has 6 crew members. 39.98 metres / 131.17 feet. The propulsion comes from one 715 Horse Power or 525 kW MTU. The Model type is 8V 2000 M70 diesel. Giving the combined power of 715 HP /525 KW. Approximate Cruise Speed is 13 nautical miles per hour. Her top Speed is around 14.5 knots. Mtu 2 times 6r 099, Te51. Leroy Somer, Ls. Heinen & Hopman is the model of air conditioning system fitted to condition the air. 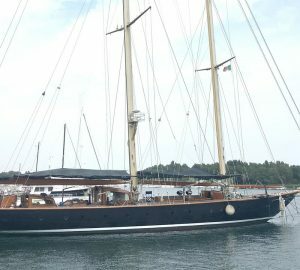 ANTARES OF GRAND CAYMAN features a teak deck. The luxury yacht ANTARES OF GRAND CAYMAN displayed on this page is merely informational and she is not necessarily available for yacht charter or for sale, nor is she represented or marketed in anyway by CharterWorld. This web page and the superyacht information contained herein is not contractual. All yacht specifications and informations are displayed in good faith but CharterWorld does not warrant or assume any legal liability or responsibility for the current accuracy, completeness, validity, or usefulness of any superyacht information and/or images displayed. All boat information is subject to change without prior notice and may not be current.